BendPak super-duty two post lift models are designed for the most demanding use, and offer the greatest features to make your shop more productive, all while providing you with years of trouble free service. Featuring heavy duty steel construction, along with design features to provide convenience and the ultimate in safety. 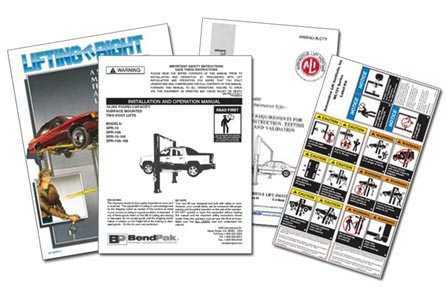 You'll see why BendPak lifts are right for your busy automotive garage. 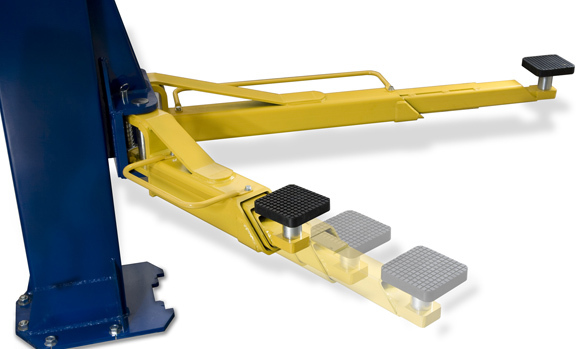 The BendPak XPR-15C Lift is ALI and ETL Certified. Free Frame Cradle Pad Adapter Kit - Normally a $180 Value. We now throw them in with the purchase of any 12 - 18,000 lb. BendPak 2 Post Truck Lift. Grabs the vehicle's frame to keep it from slipping off. A definite safety feature. Plus, standard rubber padded contact pads are included, along with 3", and 6" stackable pad extensions. Other manufacturers charge extra. They come standard with every heavy truck model.